It has been over two months since the NBA free-agent feeding frenzy sent the league’s top player LeBron James from his cushy digs in South Beach back to his old stomping grounds in Cleveland. That single move altered the entire landscape of the futures odds to win this year’s NBA title. 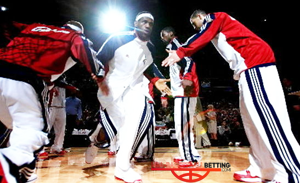 With James back as a Cavalier, TopBET set his teams odds to win this season’s title at +450. Since that point in time, the team went out and added Shawn Marion and traded for Kevin Love to help cement Cleveland as a +300 odds-on favorite on the current NBA betting futures odds board. I still question the true value in these odds given that the betting public has had a huge hand in pushing this number down before the ink was even dry on James’ one-year deal with the Cavs. 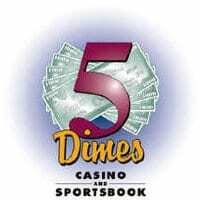 The second-favorite on 5Dimes board two months ago was San Antonio at +475. The reigning champions have remained fairly intact with long-time veterans Tim Duncan and Tony Parker back to help defend their title. The betting public is buying in on San Antonio’s chances to win again this season and its current odds have been driven down to +390. The early hype that pushed Chicago to third on this list at +550 betting odds to win the 2015 NBA title have subsided over the past two months and it is now a +725 fourth-favorite to win it all. The return of Derrick Rose after battling injuries the past few seasons is still a huge plus and the addition of Pau Gasol gives the Bulls some veteran depth. In my book, this is where the best value lies on the current board. Oklahoma City is now a +560 third-favorite to finally break through and win a world title behind the dynamic duo of Kevin Durant and Russell Westbrook after being listed as a +600 fourth-favorite back in July. There is some solid value in these odds as well and I would not be surprised at all to see the Thunder face Chicago in this season’s NBA Finals. Some of the other movement in 5Dimes’ basketball betting futures sent the Los Angeles Clippers odds from +1200 to +1000 as fifth-favorites on the current board. The Houston Rockets are still sixth on the list but their odds to win this year’s title went in the other direction from +1400 to +1500.